Wise Registry Cleaner scours your Windows Registry for invalid entries and system-slowing junk. 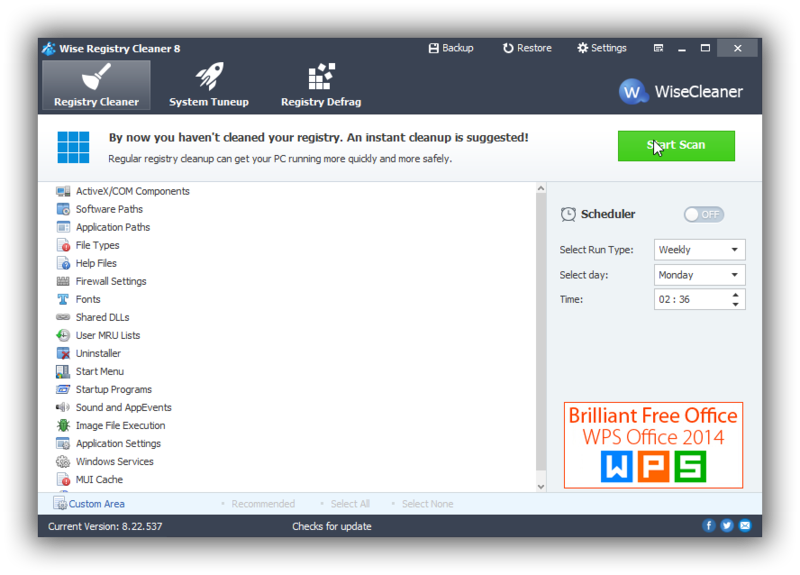 Wise Registry Cleaner scans the Windows registry and finds errors & residual items in the registry and then cleans or defrags them. By fixing these residual and corrupted items in Windows registry, your system will run faster and more stable. Last but not least, Wise Registry Cleaner can handle the registry defrag too, but keep in mind that such a procedure takes a while and needs you to close all running apps for the best results. 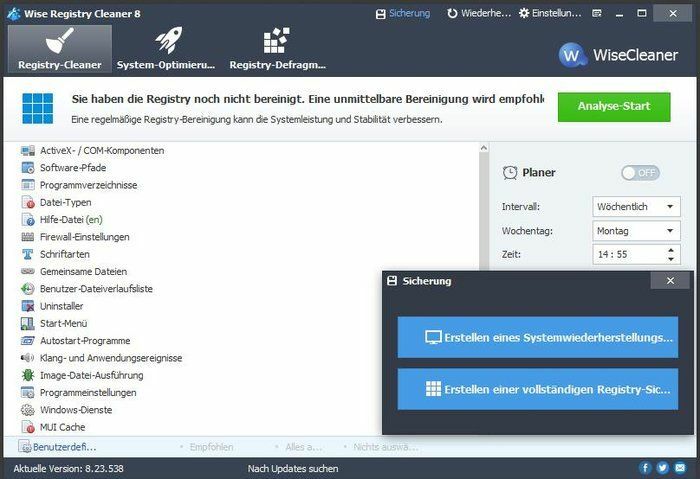 Overall, Wise Registry Cleaner scours the Windows Registry for invalid entries and junk that can slow your system down.